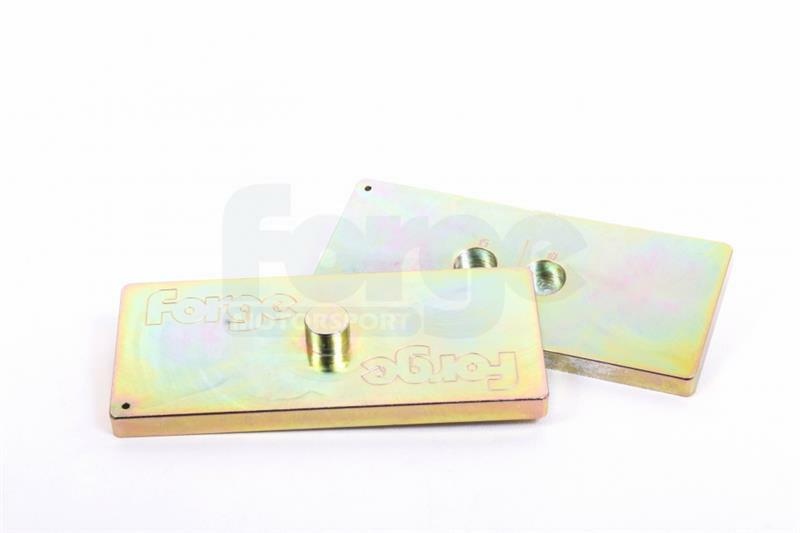 Forge Motorsport VW Caddy Axle Relocation Plates. When the rear suspension of the VW Caddy is lowered the axle moves forward causing the unsightly misalignment of the wheel to the wheel arch. This pair of axle offset plates corrects the wheel alignment by offsetting the axle to centralize the wheel. These plates are CNC machined from a solid billet of Steel for strength and Zinc plated to resist corrosion.